THE MAKING CUSTOMERS SERIES consists of the workshops, courses, seminars and coaching sessions developed by Mike Moore to improve the customer and employee experience. Each course contains specialized, advanced education for professionals in the Homebuilding, Design Center, Building Supply and Floor Covering Industries, but also applies to any business with a desire to deliver a world class customer and employee experience. The workshops and coaching sessions offer insights, skills and education for owners, executives, sales managers, salespeople, customer service and operations personnel. Mike wrote and recorded the first Making Customers course in 1992 and has continued to update and develop the series to meet today’s challenging and ever changing business environment. The course focuses on new attitudes, skills and actions to immediately improve the customer and employee experience. As a futurist Mike was an early adaptor of technology in the customer and employee experience. 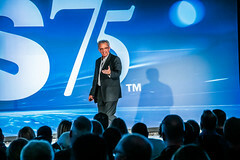 Mike began speaking, teaching and developing technology to improve the customer engagement and employee experience in 1993. Each session in The Making Customers Series addresses the use of technology and its implementation and use, to help you keep up with your customers buying and ownership process and experiences. 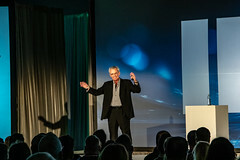 If you want an alternative to the traditional sales, leadership and customer services courses that have brought us to the place where consumers don’t like, trust or believe salespeople and salespeople don’t trust or respect consumers, then Mike Moore and The Making Customers Series is what you’ve been looking for. For booking information contact Mike at mmoore213@gmail.com or call hm at 858-354-2802 to make your next event exceptional. 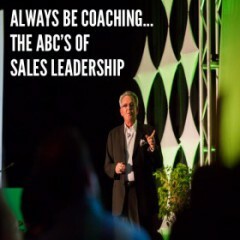 These courses include transformational training and coaching featuring the intentions and purpose changes that will heal the dysfunctional buyer and seller relationship. They also include the attitudes, skills and actions to connect and communicate creating increased sales and sustainable growth for you and your business. The sessions also include how to successfully integrate the use of technology and social networks to engage and relate with people today and in the coming age of business. 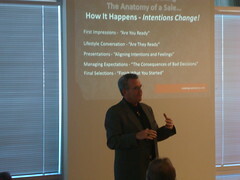 “Mike’s, Making Customers and Finished Home Design, keynotes, seminars and coaching sessions educate and energize employees, create customer loyalty and result in increased revenue, higher profit margins and sustainable business growth.” Nancy Giangeruso, Vice President, of National Design Centers at Interior Specialist Inc.